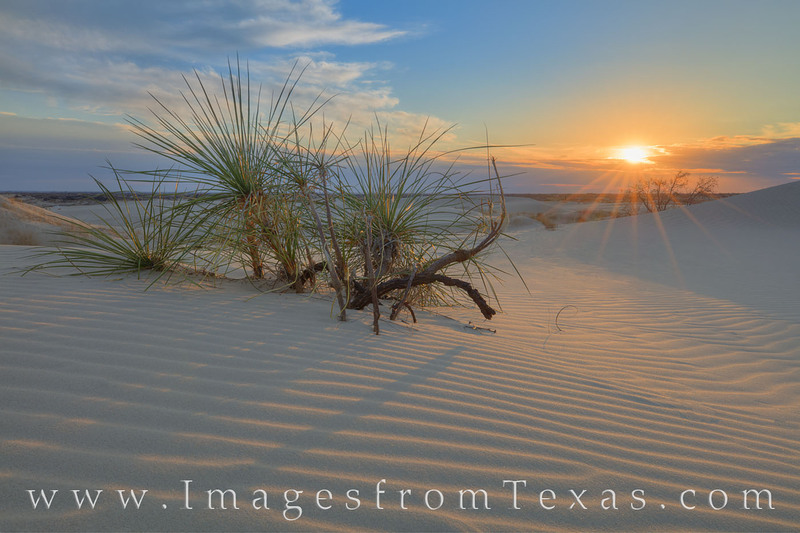 The setting sun streams light across the sand dunes at Monahans Sandhills State Park. Just off I-20 near Monahans and an hour from Fort Stockton, this little known park is great for exploring and playing in the sand. Sunrises and sunsets are particularly amazing as the light turns the sand different shades of pink and orange.